The Beastly glove is just that....a beast. Black leather with black studs and snakeskin. Awesome layering and well thought out distressing. The devil is in the details. Fingerless for those of you that still want that range of motion. 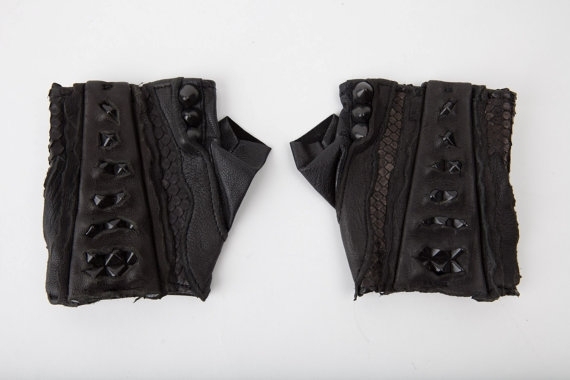 These gloves are handcrafted from goat leather, with zippers and pyramid studs.